We were on our way to visit Fort Santiago when we took this photo of the Manila Central Post Office last Saturday. The place is one of the famous landmarks in Manila. A true part of our national heritage. The Manila Central Post Office is the central post office of the city of Manila, Philippines. It is the head office of the Philippine Postal Corporation, and houses the country’s main mail sorting-distribution operations. 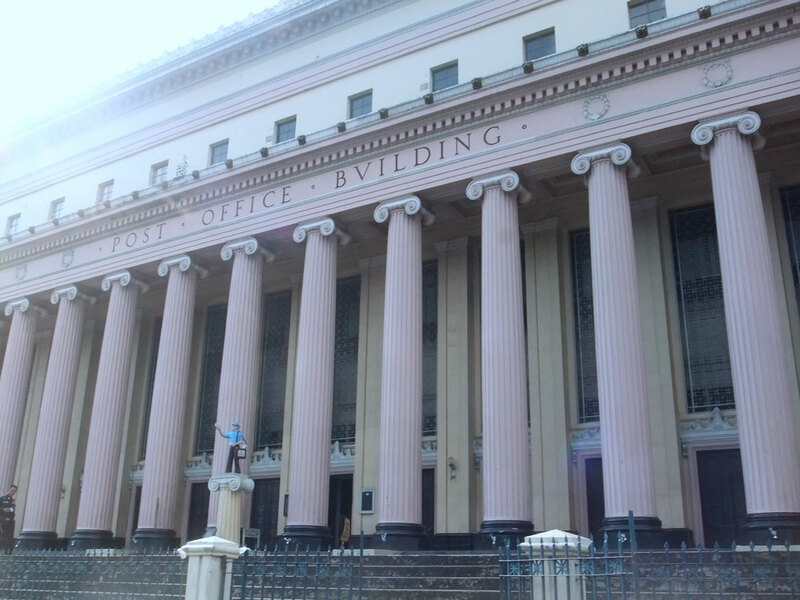 Designed by Juan M. Arellano, the post office building was built in neoclassical architecture in 1926. It was severely damaged in World War II, and rebuilt in 1946 preserving most of its original design. It is located in the Intramuros district of the city, at the bank of the Pasig River. The building’s main entrance faces the Liwasang Bonifacio. This entry was posted in Historical sites and tagged heritage, Manila Central Post Office, old building, old edifice, post office building on April 15, 2013 by Yami.